In this blog post I am going to give my perspective and understanding of an often discussed, but rarely understood subject - the 'Subconscious Mind'. In order to really understand how hypnosis works, I feel it is important to understand the Subconscious Mind, the Conscious Mind, and the differences. It is something that I always cover in my pre-talk with my clients to help them gain a full understanding on what we are going to achieve in the session. 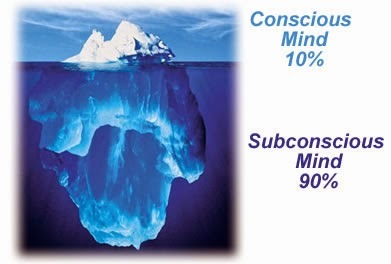 I really like the 'Iceberg' metaphor when it comes to describing the difference between the Conscious and Subconscious Mind. That the Conscious Mind is the smaller part of the mind (just like the part of the iceberg that you can see), that we use to make decisions with. It is rational and logical and 'thinks' in sequence. For example you would have made a conscious decision this morning in what clothes to wear. The Subconscious Mind on the other hand is, as studies have shown, the much more powerful part of the mind (that bigger part of the iceberg you cannot see). It is the source of everything we do 'automatically' and without thinking about it. From the time we are born when we learn things at first consciously but with repetition and practice it becomes subconscious. Things, you now probably take for granted like walking, talking, reading and writing. There is an old saying 'you'll always remember how to cycle a bike' and that is so true, because it is a subconscious learning. In my opinion, the Subconscious Mind is like a vast library that stores every memory and feeling that we have ever had, good and bad, each of which can be accessed at any time. This is why the quote on the left is true. The Subconscious Mind can multitask and is the source of our Imagination and Visualization skills, in fact according to 'the left-brain, right-brain dominance theory', it would be very much 'the right side of the brain' as it is best at expressive and creative tasks. The Conscious Mind is the source of your 'willpower', but sometimes this can impede us...have you ever noticed that sometimes 'the harder you try to do something the harder it gets'? Whereas the Subconscious Mind is more about going with the flow and letting your inner talents flow to the surface. A great example of the difference between the conscious and subconscious is when it comes to learning how to drive a car. If you can drive a car, you might remember at the start, how difficult it may have seemed, how you had a step of steps to follow and remember. 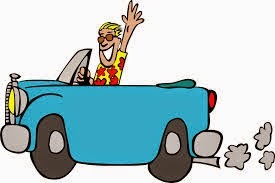 When I look back at my own experience, I recall there was a time, after about 5 weeks, that I thought I'd never learn how to drive, in fact that I was probably putting both my own and my instructors life at risk every time I got behind the wheel! But, after a few bumps along the way, the time did come where I was able to get into the car and drive it. It had become a subconscious learning and something I'll always know how to do. About a year and a half ago I decided to learn how to play the guitar. Knowing what i know about this, I knew it takes a little time and lots of practice for me to be able to play fluently (subconsciously). At the start I needed to force my fingers onto the right strings, to play the chords. But now, slowly but surely, I notice how my fingers are going from one chord to the another 'automatically'. This is because the 'muscle memory' has kicked in and I am doing it subconsciously. 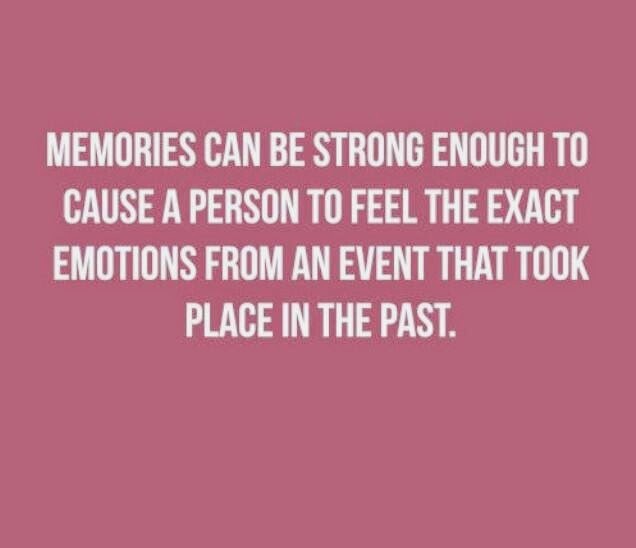 For me the Subconscious Mind' is more than just our brains, but it's our body, every cell of our body has a memory. Hypnosis can help, because it, bypasses the Conscious Mind and directly communicates with the Subconscious Mind, where all of our behaviors and habits reside. Once i help my client 'quieten' their minds and guide then into that wonderful natural state of relaxation and focused concentration we call 'hypnosis'; they are open to make rearrangements subconsciously whether it be to accept my suggestions for change; or finding creative solutions to their problems. In many ways I am guiding them to find their REAL and TRUE selves within. We are all 'conditioned' in certain ways, basically wired at a very neurological level that result in our subconscious behaviors and habits. Hypnosis is a great way to 'reprogram' these behaviors and habits. If someone comes to see me to stop smoking for example, what I am really doing is helping to learn to subconsciously live as a non smoker. In fact it can fast track this process, but for some people this may take longer than others. However it is important to understand that you are re-programming your own mind, with the hypnotists help and guidance and that the hypnotist cannot 'make' someone do something they don't want to do in the first place. This is why I put a lot of focus on teaching all my clients the tools and techniques (mindfulness, self hypnosis, etc.) that they can use to keep programming their own minds, long after they leave my office. One last thing to be aware of is that your Subconscious Mind never sleeps and in fact, as I tell my clients' will be processing the new information learned in my sessions, even as they sleep. You might have had the experience of not been able to remember something going to bed, but hey presto when you wake up in the morning, you have the answer? This is because as you were asleep your Subconscious Mind worked on it for you overnight. Your Subconscious Mind is always listening and takes everything literally, so keep this in mind the next time you put yourself down and are self critical. 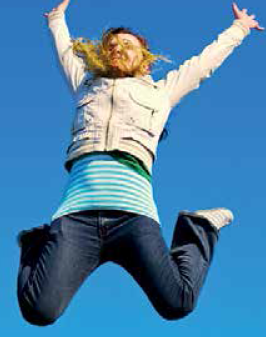 In many ways 'we are what we think and tell ourselves' and how we feel strong or weak is really dependent on how strong we are subconsciously and that's what hypnosis is all about = Empowering you from within and helping you help yourself.